Clive Davis and the Recording Academy will present the annual Pre-Grammy Gala on Saturday, January 27, 2018 at Sheraton New York Times Square, the evening preceding the 60th Annual Grammy Awards. As part of the celebration, entrepreneur and 21-time Grammy winner Shawn “JAY-Z” Carter will be recognized as the 2018 Grammy Salute To Industry Icons honoree for his significant contributions to the music industry and his numerous philanthropic endeavors. Sponsored by Delta, Hilton, JBL By Harman, and Mastercard, the invitation-only Pre-Grammy Gala has long been one of the music industry’s most prestigious events, having hosted the industry’s top leaders and welcomed the world’s most talented artists on its stage. For the past decade, the gala has also included a presentation to honor industry luminaries through the Recording Academy’s Grammy Salute To Industry Icons Award. Past recipients include Herb Alpert and Jerry Moss, Irving Azoff, Martin Bandier, Sir Richard Branson, Clive Davis, Ahmet Ertegun, David Geffen, Berry Gordy, Lucian Grainge, Debra L. Lee, Doug Morris, Mo Ostin, and Antonio “L.A.” Reid. 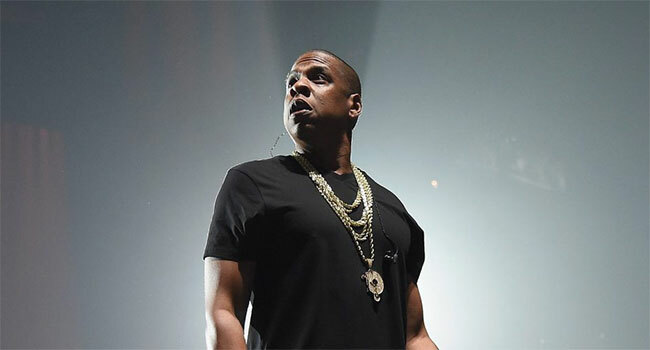 Since 1996, Songwriters Hall of Fame inductee and 21-time Grammy Award winner Shawn “JAY Z” Carter has been a dominant force in popular culture, with multiple businesses and accolades across the recording industry. Among his achievements, Carter has served as President of Def Jam Recordings, launched the successful Made In America festival, acquired luxury spirits brand Armand De Brignac, and maintains his role as majority owner in the 40/40 sports clubs. In 2013, Carter launched Roc Nation Sports, whose roster includes NBA Champion Kevin Durant and MLB All-Star Robinson Cano. Carter became co-owner in global streaming service, TIDAL, in 2015. In 2017, Carter became the first hip-hop artist to be inducted into the Songwriters Hall Of Fame. Carter is active in giving back to the community, most notably through his philanthropic work through the Shawn Carter Foundation. The Foundation, founded in 2002, is dedicated to helping individuals facing socio-economic hardships further their education, encouraging them to tap into their potential. Since the foundation launched, Shawn Carter Scholars are studying at more than 100 institutions of higher education throughout the nation.